I am honored to welcome you to Slovenia, to Ljubljana and to Danila Kumar International School. Our school was founded in 1993 to provide international education to foreign children. DKIS offers two International Baccalaureate Programs, Primary and Middle Years, for children aged 3 to 15 years in a multicultural and multilingual environment. With English being the language of instruction for students from more than 40 nationalities, it helps bring together different cultures and perspectives. We work hand-in-hand with our founders , The Slovenian Ministry of Education, City of Ljubljana, the IBO, and our community of involved parents to promote superior academic achievement. Developing a sense of global citizenship, celebrating our Slovenian roots and building international diversity is one of our top priorities. Our dedicated and well-trained faculty is committed to educating and inspiring each child to become a thoughtful, independent and well-rounded individual with a lifelong passion for learning. We provide a caring, supportive and challenging environment that embraces the uniqueness of the individual, where each child’s strengths, needs, interests and talents are highly valued and nurtured. We aim to achieve that our students fully develop their academic and other potentials, strive for excellence in everything they do, feel valued and value others. Our main goal is to prepare our students for challenges in their future and become responsible and active adults. Our programs are focused on inquiry, enduring understandings, collaboration, communication and multicultural awareness. We also provide a wide range of enrichment activities and experiences (collapsed days, extracurricular activities, projects, competitions) that prepare our students for the future but also make their school life more enjoyable and rewarding. 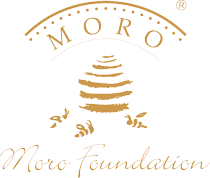 We have been closely collaborating with the Moro Foundation for years. We have had many successful projects together: the introduction of the Football Academy at Danila Kumar, the construction of the outdoor multipurpose artificial turf playground on our campus, the organization of various writing and art contests, sponsoring experts and trainers to talk to and work with our students and sponsoring various social activities, specifically the traditional International Day in Šobec. The Moro Foundation supports our teachers and contributes a lot to the enrichment of the academic and social life of our students and their families.